Today is an exciting day. And, no, not just for fans of musical theatre and men in kilts. My blog turns six months old today! 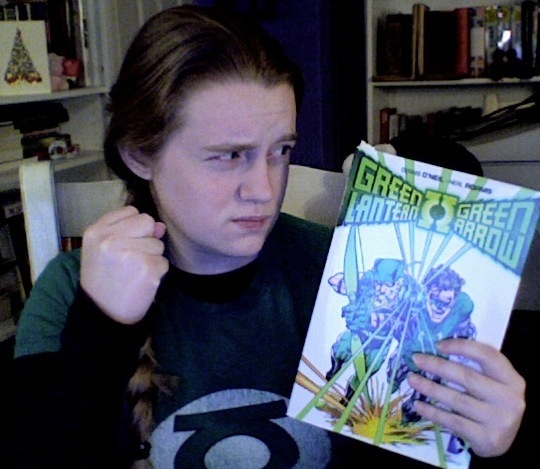 Yes, six months ago I stopped procrastinating and finally started a banned books blog. If you’ve been reading since the beginning, thank you for your loyalty. If you’ve just stumbled across me, welcome to my little corner of this mad, enchanted forest we call the internet. This was a good year for banned books, both here and in the theatres. The Hunger Games broke records at the box office, The Perks of Being a Wallflower blossomed into being due to the dedicated lobbying of Emma Watson (who convinced skeptics that this controversial and loaded book was worth the risk), and Les Miserables became the darling of the Academy. I commend them all and look forward to another year of challenged material bursting onto the screen. There’s plenty to look forward to here as well. And, yes, I will get to The Lovely Bones. My apologies for not yet having that up, but work, health, and personal things (not to mention the ill-timed incapacitation of my beloved laptop, Max) have conspired against me. As always, feedback and book suggestions are more than welcome. Here’s to six more months, my friends. Cheers. 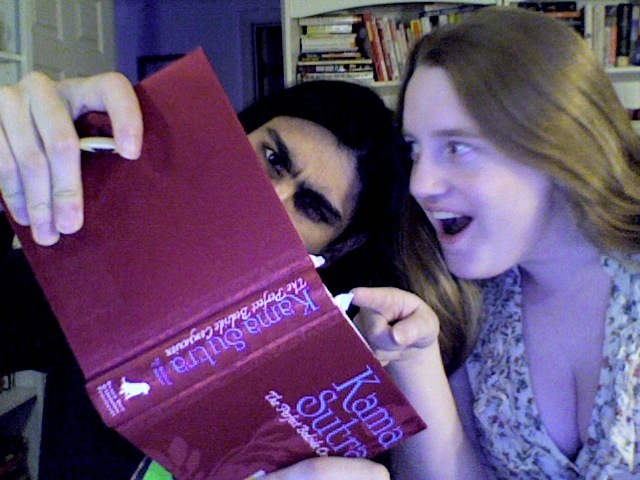 The Kama Sutra, spicing up anthropology since 1883. Happy Valentine’s Day, Readers! Or Happy Lupercalia, if you prefer wolves and whips to flowers and chocolate. Whatever floats your boat. Anyway, this week’s review is of the Kāmasūtra. This text has been altered, notated, and translated many a time and, as with any translation, you are not reading a text: you are reading someone’s interpretation of a text. So, I would like to state for the purposes of academic accuracy, that my review is of the Burton translation, as published by Black Dog & Leventhal Publishers. in Kids These Days, The Horror! The Horror! I love fantasy. I love epics (which, as much some stuffy Classics majors might fight it, are fantasy). Sure, dragons are awesome and who wouldn’t want to be a waterbender or get their Hogwarts letter or smoke some pipeweed after a long day’s work tilling Shire earth? But that’s not why I love fantasy. Hello, readers. I bring good tidings of new ways to procrastinate! My witty and talented friend, Courtney, has started a webcomic called Love Dumps. Read it, follow her on Tumblr, like it on Facebook, go wild. Happy reading, friends. P.S. Writer’s Brew and A Cat’s Love are pretty much the story of my life. Greetings from the besieged North. Unfortunately, between the storm and some work things, I will not be posting a review today. The promised review of the Kāmasūtra will be up next week and The Lovely Bones will be up the week after. Sorry for the delay. I hope any of you in the path of Nemo are safe indoors with a cup of cocoa and a book. May the power company be ever in your favor. Students reflect on intellectual freedom. 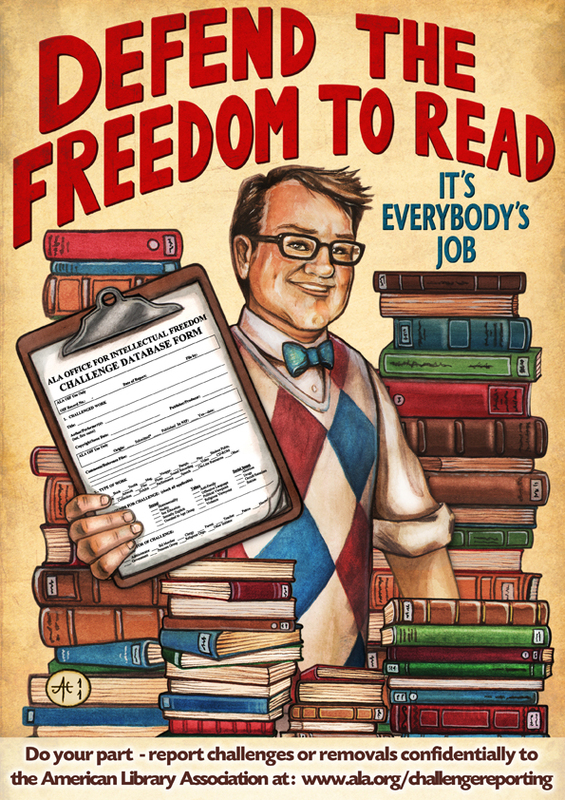 Today has been deemed by the Office for Intellectual Freedom “Sweater Vest Sunday”, a day where the Public Library raises awareness about the reality of censorship of their material (books, magazines, etc) and to increase the number of reported challenges to the censorship rules being published. In honor of this day, the Teen Leadership Council has written a few statements about their opinions on intellectual freedom.